Hi Houndie and Happy Birthday! I simply cannot believe how the time passess and that it’s already 2 years since you started blogging. It feels like we met just a short time ago and in the meantime my own blog is now 1,5 years old! How the time flies! I wish you all the best for another year of blogging and I hope that you’ll find many interesting perfumes this year, new or older or vintage. Since we’re 1.5 and 2, does this make us old-timers in the blogosphere??! Happy Sunday Kevin – I have yet to try the SLs, but I have samples which I need to get to. As for Chypre Mousse, I know there’s a lot of love out there for it, but it just wasn’t meant for me. Good Luck with the draw! My favorite release of 2013 was Lorre Rodkin Gothic 1, a very nice warm vanilla Patchouli fragrance. think it’s great. I’m not familiar with Loree Rodkin…thanks for the introduction, I need to check this out! Good luck with the draw Joseph! Happy 2, my favorite sweet smelling beagle! Let’s hope your muse is the ever-coming-back kind! Your bone rating is always a criteria for me to check when I find an intriguing fragrance! Carry on with your aromatic promenades and woof them to us! I am with you on the blind buys, but probably more unlucky than you…Fortunately, I have friends and family who would gladly haver my failed acquisitions. Last great blind buy: Green, green, green – Miller et Bertaux. You know I have never really tried the Miller et Bertaux’s…one I sniffed I believe was “Eyes Wide Shut” or something of that ilk and it seemed OK…maybe I need to give them more due. As for Dita Von Teese…I keep hearing such wonderful things about her perfumes, but I have a hard time thinking about a perfume made by someone who hangs out in large champagne glasses. I’m all for girly, but she’s a bit too much girly even for me. So what natural perfumers did you find you liked???!! Good luck with the draw! I am not in US, not even near, so I am not eligible for the draw! I just wanted to congratulate you! For the record, my vintage love – Climat by Lancome. Oops, sorry, Shelley Waddington, not Sherri…a slip of the…hmmm…keys…Funny, I got a mistake on her name, but maybe as a whole I liked her fumes the most! Lorelei is the most matching to my taste concoction of spring flowers I’ve tried so far! 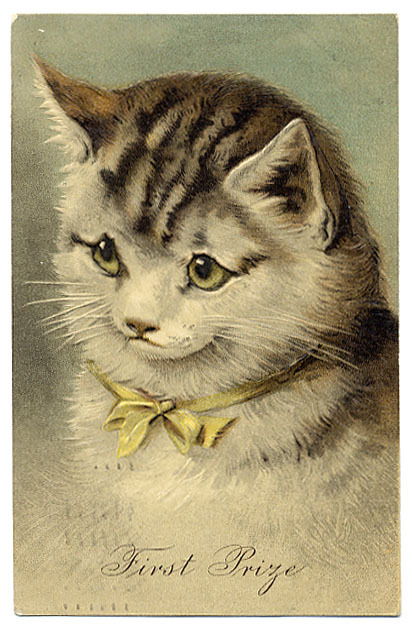 Especially concerning the lilac! And I actually do fancy all the others of her creations I had the chance to try – L’Hombre, Vents Ardents, Durango. Next in line for sampling are Zelda, Nectares des Iles and Go Ask Alice (I am a true patchouli fanatic!). Pitty, there are lots of restrictions and high-price shipping overseas! That keeps me from trying more of the natural perfumery that seems to be a great part of the future of the perfume industry. I am eager to have a sniff of some Providence Perfumes, Ineke, Yosh, Matriarch, Anya’s garden, Ayala Moriel, Aroma M, Olympic Orchids, DSH, Sarah Horowitz, etc. And of course, more of Mandy Aftel’s scents! Her Sepia was a hard bite for me, but Tango and Cepes&Tuberose made me smell a really different and new part of the fume world!!! CONGRATULATIONS!! 2 years is sensational. I can’t tell you how sad I am that you don’t love one of my Holy Grails, Trouble. I have nearly a litre of it here. Parfum, EdP and also a bunch of body product and a couple of the flankers. He He he. One man’s trash etc. Wishing you many more years of happy blogging. LOL. Sorry, P, I didn’t mean to trash one of your favorites, but on me it just turned into sour dirty socks. I can go to the gym to get that smell 🙂 Thanks for the well wishes my dear! Certainly not a new fragrance, but newly added to my collection was Apre l’Ondee. It Is the fragrance I think about even when I am wearing other things for weeks. If only if we could live in a Guerlain world year round! I’m trying to think what fragrance I obsess about and come back to… that last one Nuit de Noel…but that has passed since Christmas has come and gone. Thanks for stopping by Nancy…good luck with the draw! Hotlanta!!! I lived there for 15 years and miss it terribly…Linda, put something in front of me and I’ll scarf it down…maybe that’s why my waist is so big! Thanks for stopping by….hmmm Parfum Sacre sounds lovely right about now! You may Think your muse has left the building, but I found this piece to be a great read! I agree with many of your assessments, too. Thanks so much for this piece of great ramblings, and congratulations!!! Woof! My favorite discovery of 2013 was vintage Cabochard, and my most-loved scent released (I think) in 2013 was Moon Bloom by Hiram Green. Last year I was able to go to the NYC Caron boutique– what a lovely place. I wanted to say, “I’ll take one of each, please.” Because of you I now need to try Nuit de Noel. Best blind buys of the year were vintage Faun perfume by Ravel and an eBay lot of vintage extrait bottles, each with a little much-evaporated, syrupy, but still gorgeous scent in them. Dagmar, I have heard so many great things about Moon Bloom, but I’m a bit afraid of tuberose so I haven’t rushed to check it out. As for vintage and eBay, you can get some really great deals. I’m not familiar with Faun, I’ll have to check it out. Good luck with the draw! I think one of my favorites from 2013 was Imaginary Authors Cape Heartache. Such a gorgeous scent. Also loved Shelley Waddington’s Zelda. Thank you for the very generous draw! Tami – I’m a big fan of Zelda too! It’s a great perfume and easily takes you to the plantations of the south when you wear it! Thanks for stopping by and good luck with the draw. Congrats! That’s a real accomplishment and I hope you’re proud of it. Keep it up. I guess my favorite of the year but not a new scent was Rubj. I was going to say Mitzah but I haven’t had it that long. Favorite new scent might be Cape Heartache. I’m always about a year behind on the new stuff but I know that’s a recent release. You wear what you want, when you want. You rock those florals and don’t let anyone stop you. That’s a 2nd vote for Cape Heartache…wow, I need to check it out. I was super in love with Rubj earlier, but Onda took over the number 1 spot for me. Don’t get me wrong, I love Rubj and actually am dying to test out the extrait version. So are we on for Sniffa in the Spring??!! Congratulations! I hope you’ll continue to post for as long as it’s still fun. My favorite release from this year (of the relatively small number I tried) was the Houbigant Orangers en Fleurs–so pretty! My favorite bottle I bought this year is the already-discontinued Roberto Cavalli Oro, which for me is easy and lovable. Yea!!! 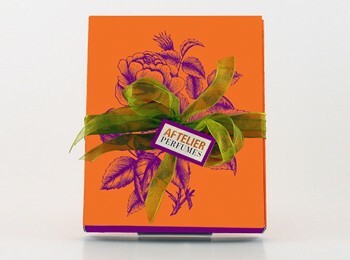 I’m so glad you like Orangers en Fleurs…it really could have gone either too sweet or too flat, instead it’s just right! It’s perfect for the Spring, wish I wish it was right now! Good luck with the draw Laurels! Hi Steve, and happiest of anniversaries! 2 years is a long time to be consistently drawing on the muse, I hope I’m still within grabbing distance of mine at the 2 year mark. Thank you so much for your kind words about Odiferess. I’m already familiar with The Smelly Vagabond and I’ll be sure to explore the other blogs. 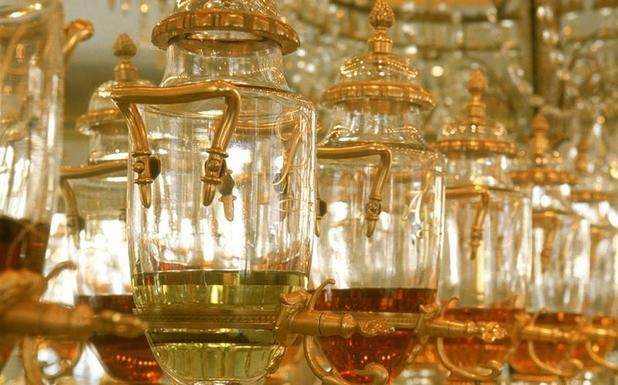 In this post I was curious to read about your ‘first discoveries’ and the point that they were amber fragrances. I think that applied to so many of us. Ambre Sultan was one of my Eureka moments too. Equally, I’ve moved on from them somewhat (maybe because so very many were released subsequently and I’ve overdone them?) and I also find myself drawn towards genres that I previously didn’t care for sure as the feminine floral (especially those with a chypre base) and even aldehydes. That said, I’ll still gag if anybody comes near me with abundant jasmine! I’ll look forward to reading of your journey into new genre territories this year. On the Caron front, Eau de Reglisse is in my top two fumes of all time (sharing the throne with Piguet’s Calypso) and a recent sniff of their new release ‘My Ylang’ nearly brought me to tears with it’s optimism and brightness. A review will be coming soon when I feel the muse..
My dear, I have no doubt that you’ll be around for 2 years and many more as you’re a really good writer and have a passion that shines through! I have wondered about My Ylang, but am a bit worried since it contains one of my hated notes Lily of the Valley…even a little can turn me cold. I can’t wait to hear what you have to say about it and maybe you can convince me that I shouldn’t be afraid of the note! Ah shucks..thanks again! I didn’t notice a whiff of the dreaded L O V. I hope I don’t now I know it’s lurking in there. I can’t convince you that you should not be afraid as I am afraid too.. Also fearsome is the extraordinary faff that is getting hold of Caron samples! Happy Second Anniversary, Steve! I found your blog in the past year – thanks partly to a link on Undina’s blog and partly a personal recommendation from Freddie of Smellythoughts when we met up last spring. I agree that blogging is a big commitment and regular posting is a challenge to combine with the demands of work and family etc, so very well done on your milestone and thanks for hosting this generous draw! Thanks Vanessa. Both Undina and Freddie have been very supportive and lovely to me in the past couple of years. Actually, it’s because of Freddie that I found your blog too!! Thanks for the love my dear! Devon – Anything that Neela touches is gold. Mohur and Trayee are my favorites and glad that you like Mohur as well. I have yet to try the new extrait, but I have heard that it’s incredible. Thanks for the well wishes. Thanks for stopping by and good luck in the draw! DNEM. Ambre Sultan was the ‘fume that made me think “now this is a perfume” and off to the Niche section of Perfumeland I trotted. After that it is a hop, skip and a jump to Indie and Artisan. Great list. Thank you too for the encouraging mention Mr Hound. All the best to you for the 2014 Perfume Year. What a fine nose you have; your nose by any other name would smell as sweetly as you do. Rock the florals dude. Fate Woman is surely to become a classic. I was afraid of Le Tuberose too until the moon bloomed. Many scented and happy returns for your Anniversary! Thanks Jordan…and thanks for being such a special blogger! After reading other comments, it’s seems that Ambre Sultan is a nice springboard. Who knew??!! Not sure how many Perfumista Points you have lost though due to filing your Best of List so late AND missing you own Olfactive Scribe Anniversary. I will let you know the decision of The Scented Court in due course. Congrats on your blogaversary! I’m relatively new to the blogging world, so have been avidly reading everything I can get my eyes on and really appreciate your honest and direct writing style. I’m also new to the niche world being an old vintage lover (the old referring to my number of years, although I guess I could describe myself as vintage too!) and am slowly creeping forth into the 21st century of the perfume world 😉 So far then, I am very taken with SL – Ambre Sultan, MKK and Chergui; Amouage – Gold and Fate Woman; Etat – Jasmin et Cigarette; and another vote for Moon Bloom. I’m with you on the Caron Nuit de Noel – I have 3 ancient bottles still with their shagreen boxes and perfume remaining – I’m in that scary space where the contents are getting down to dribbles. I want to wear it but I don’t want to wear it out! Sally…I’m so glad you are into the vintages..they are incredible and a whole different animal. I just laid out some money for a bottle of Guerlain Parure EdT that should come later this week. I have heard incredible things about this discontinued chypre and can’t wait for it to arrive. As for using the vintages…I use them at abandon. If they run out, then there is always more in eBay…what is perfume if it’s not meant to be worn?? And I really need to check out this Moon Bloom…I am tempted that bottle is to die for! Thanks for stopping by and good luck with the draw my dear! You have the shagreen boxed bottles? Wow. Hope you have a vault! Congratulations, dear Houndy! There were so many 2013 favorites but if I had to pick one, I would pick Atelier Cologne Silver Iris. And remember, NYC is hajusuuri-land so if you are in town visiting the Caron boutique, do let me know — I would love to meet you. Spring Sniffa – that’s a thought! Maybe I’ll make it this time! My dearest friend and Hound, a huge, MASSIVE Congratulations — not so much on your anniversary, marvelous as it is, but for being one of the kindest, most generous, supportive perfume bloggers out there. From your interactions with others to your succinct, fantastic, reviews to your refined tastes, you are a star and the perfect gentleman in every way. I admire you in every way imaginable, and I only wish we lived closer so I could spend time with you and your hubby in person. No need to enter me in the drawing, as the book was one of my Christmas presents, and I have decants of the other scents. But this is a superb giveaway. My memory is so bad… you’re right, the Opium came later derived from one of your posts! You’re such a bad influence (OK, from a pocketbook standpoint)! 2013 was the year I became “addicted” to multiple fragrances! My current favorite is MPG’s Ambre Dore, released this year, I believe. My sentimental favorite is Fils De Dieu, which started me on my obsession. Thank you very much for the draw. My “to buy” list includes Coromandel and Alahine. Thanks again! Edward, I’m not familiar myself with MPG Ambre Dore, but I love Ambre Precieux. As for Coromandel and Alahine…both wonderfully classic. You have great taste! Best of luck with the draw! Happy Blogoversary! Has it only been two years??? Amazing how quickly time flies! One of my highlights this past year was meeting you, Hajusuuri, Ari, and Poodle in person. Here’s to more sniffing and more meetings in 2014! Heck yeah, you deserve a commission my dear! I discovered Maria Candida Gentile this year, too, thanks in part to Olfactif and in part to my good friend Henri Bendel. I fell hard for Hanbury and wore it to my wedding celebration in October 2013. Congrats on your wedding!!! What a great choice to wear. And you have a friend at Henri Bendel??!! That’s a great friend to have. Hmmmm, I need one of those at Bergdorfs! Best of luck in the draw my friend. 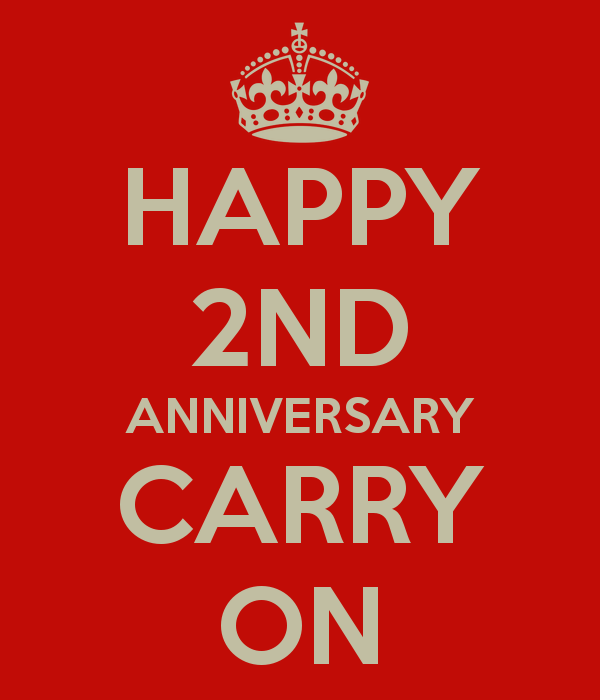 Congratulations on your 2nd Blogoversary! I have really enjoyed your reviews since I started following you…especially your scoring system ;). 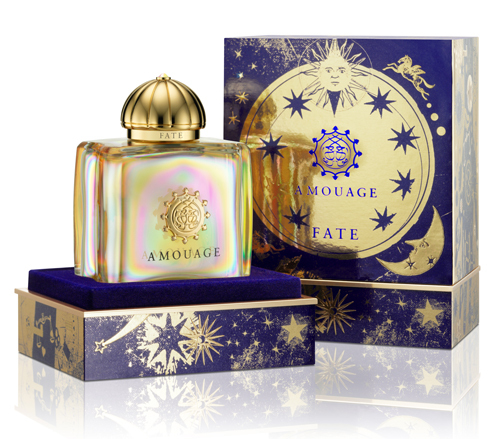 I discovered many frags this year that piqued my interest and made it to my buy list: Diptyque Eau Duelle, Slumberhouse Pear & Olive, Tauer PHI Une Rose de Kandahar, Neela Vermeeire Ashoka, DSH Passport a Paris, En Voyage Zelda, and Amouage Fate. Here’s to more great scents in 2014 and thank you for the generous draw! Stacey – thanks for the kind words. You know, I think I’m one of the few that has yet to try Ashoka and everyone that has tried it has loved it. Thanks for stopping by and best of luck with the draw! Here’s to many more years of your wonderful posts. It’s hard to believe it took me so long to finally break down and try ZELDA….but I did it…and I LOVE it…. Thanks for the great blog…Looking forward to many more years of your outlook on all the new and old scents. Dana, Zelda is a love and I’m glad so many think so too. Good luck with the draw! Happy Anniversary! There were lots of favorites in 2013, but I think my number one would have to be Andy Tauer PHI Une Rose de Kandahar. That one is such a beauty! Carla – PHI was a real surprise to me, the way the rose unfolded and developed was stunning. Great choice! Best of luck with the draw my dear! Waw, just to put all that together is quite a job. Congratulations on your anniversary and I certainly believe you’ll continue to do such a great job. Athat supposed to be fun, and that means it is not important how many posts you write, it is important that when you write you do it for your soul. I’m doing it just for that. I’m giving you a great scratch behind the doggy ears;-)! My dear, we all have to support each other. And good writing is good writing and you’re a welcome addition to the scene. I can’t wait for you to hit your 2nd anniversary!! Congrats and thank you for the draw! Diane – that sounds perfect for the cold winter months! Sometimes we must need a little sweet to keep us cheery! Thanks for stopping by and good luck with the draw! Erica – gosh, another vote for Ashoka! Go Neela! Thanks for the kinds words and welcome to the perfume blogosphere! Best of luck with the draw! For me, 2013 was the year of the big white indolic florals of jasmine and tuberose. Besides picking some scents off etsy and samples off the decants sites, one that stole my heart was Tuberuese Criminelle by Serge Lutens. I can’t get over how masculine smelling it is. Big and bold with no apologies. It’s so wonderful. I know I’m a few years off the mark in discovering it, but why did I wait so long? I can see myself grabbing a FB for sure! You are so correct with trying to keep up with the new releases. There are just so many, it’s mind boggling. However, I do like having many scents to choose from. As far as reviewing them all as soon as they hit the shelves, is another story altogether! LOL I am so happy for your 2nd Anniversary. I wish you many, many more! I too love me some jasmine. I’m going to write a review on my latest jasmine love. As for tuberose, it’s not really my friend as a centerpiece. Tuberuese Criminelle I found to be interesting, but extremely camphoric which was really surprising. I think it’s one of those either you love it or don’t and not much in the middle kind of fragrances. Best of luck in the draw my friend! Thanks for the well wishes Mr. Dandy! I can say I loved Silver Iris this year. Also, BiehIparfumkunstwerke’s PC01 by Patricia Choux. didn’t keep too much in touch with new releases though. Also, Jeffrey Dame. He never misses a beat. If it weren’t for him I wouldn’t know half of what I do. Thanks Joan – I couldn’t agree with you more about Jeff! Enjoy today’s snowy day! That’s an incredible release for the year. Very different for a Di Orio. I loved it! Two votes for Violette Fumee! Good luck with the draw! I am late to the party, but happy anniversary! It is definitely not easy to keep putting thoughts on the screen regularly, so congratulations! We obviously all love reading your blog, and thanks for sharing some other bloggers who I have not been aware of yet. Here’s to many more years of The Scented Hound! Nat…I am always late to the party. I barely have time these days to remember to eat let alone get to blogging or to others! In any case, we’re both in good company 🙂 Thanks for stopping by and for the well wishes! I feel a little better being late to this post because you got to write it more than two weeks after the actual date. Happy Anniversary! I hope you keep enjoying this hobby – and it doesn’t matter what pace is comfortable for you: I’ll be reading your posts if you publish them once a day or once a month (though in both cases it might happen a week later 😉 ). Do not enter me into the draw, but I still want to try to answer your question. My favorite perfume for 2013… There were so many but let me go with Dyptique Volutes. I was thinking about the next Fall’s Sniffapalooza or, as you mentioned in the comment on your last event’s report post, Spring 2015. My scent of the year was slumberhouse Norne. Not new for this year, I know, but new for me. The whole slumberhouse line rekindled my enthusiasm for scent in 2013 and I’m busy revisiting old favorites and not so favorites. I have a number of years of oh so many new fragrances to catch up with! Jules – great choice! The Slumberhouse fragrances are powerhouses and very different from the mainstream. Thanks for the well wishes and best of luck in the draw! my favorite perfume for 2013 is chanel’s sycomore. lovely, smoky, dry vetiver. my first vetiver which (for me) has made all other vetivers sloppy seconds! thank you for the wonderful blog post! and i am located in the states. Thanks for stopping by Sandi. Sycamore is one Chanel that has not crossed by nose. I’ll need to give it a sniff. Best of luck with the draw! I think that the lovely Mona di Orio Vanille was my choice for 2013. It was a year when bad things happened among my family and friends, and Mona never failed to comfort. So sorry that 2013 was so challenging for you and yours. I hope 2014 is better. I can see how MdO’s Vanille could be a comfort for sure.